Since the early 80th I practice photography by using cameras of Nikon, analog as well as (newly) digital. Outdoors I prefer to use a 2.8/300 mm telephoto lens and a 4.5/500 mm telephoto lens. In combination with a digital camera the focal length extends by the factor 1.5, which is a great convenience while photographing wildlife animals. I invite you, to review my wildlife-photography gallery. Are you interested in my photos, please contact me by e-mail. 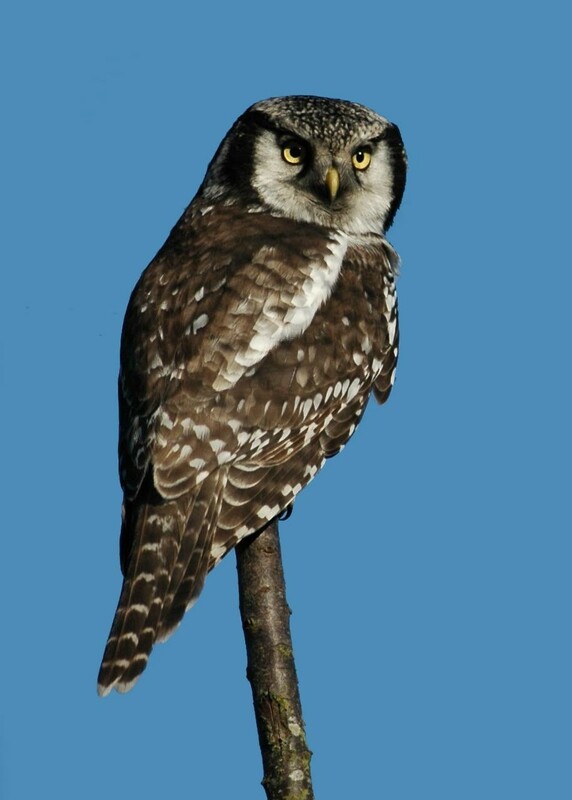 Click on the Hawk Owl and you will reach my gallery.